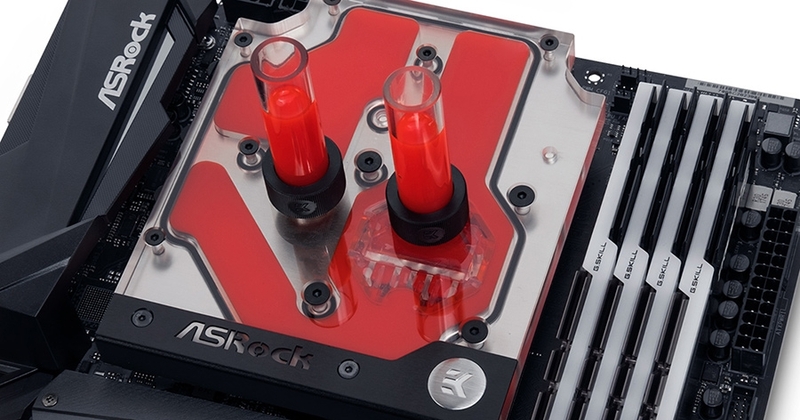 EK-FB ASRock X470 Gaming K4 RGB Monoblock is a complete all-in-one (CPU and motherboard) liquid cooling solution for the for ASRock X470 Gaming K4 and ASRock X470 Master SLI motherboards. The monoblock is equipped with a 4-pin RGB LED strip and it offers unparallel aesthetics alongside with superior performance! 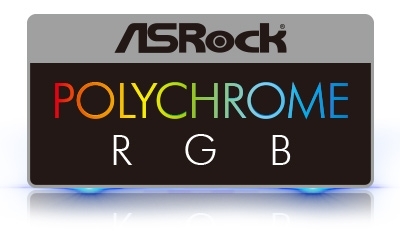 The RGB LED in the monoblock is compatible with ASRock Polychrome RGB, thus offering a full lighting customization experience! This is a complete all-in-one (CPU and motherboard) liquid cooling solution for ASRock X470 Gaming K4 and ASRock X470 Master SLI motherboards. that support the second generation of AMD® Ryzen™ and 7th Generation A-series/Athlon™ processors. Designed and engineered in cooperation with ASRock®, this monoblock uses award-winning EK-Supremacy EVO cooling engine to ensure the best possible CPU cooling. This water block directly cools AMD® AM4 socket type CPU, as well as the power regulation (MOSFET) module. Liquid flows directly over all critical areas, providing the enthusiasts with a great solution for high and stable overclocks. Like with every EK monoblock, EK-FB ASRock X470 Gaming K4 RGB features a high flow design and it can be easily used with the system using a weaker water pump or lower pump speed settings as well.